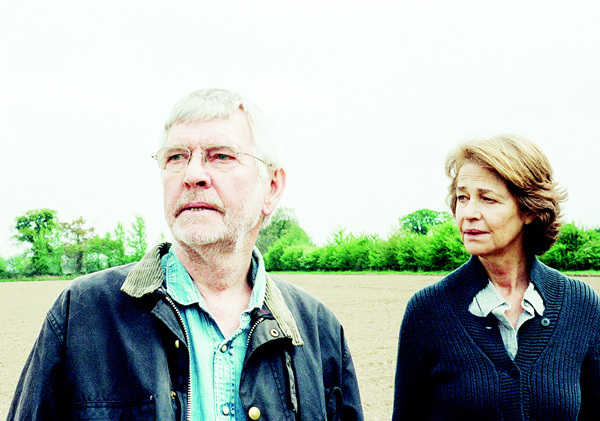 In it, Rampling stars as half of a childless couple — Kate and Geoff (Tom Courtenay) Mercer — preparing to celebrate their 45th anniversary. In minutes, we can already feel jealousy welling in us from snapshots of their peaceful, harmonious lives in rural England: dog walks, drinking tea and taking leisurely trips into town. For Haigh, relationships are forged in a moment, crystalized in the circumstances of their beginnings. Kate and Geoff may be in their 70s, but their marriage is still built upon — and haunted by — whatever brought them together in their 20s. Old age has done far less to change them than most would think.